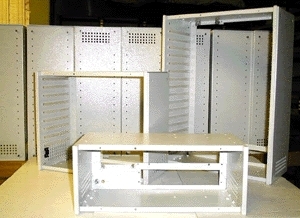 JSC ‘Telrada’ was established in 1994, in a depot of the production department of non-standard radio and TV electronic equipment of JSC ‘Banga’ (originally as its branch). In 1997 JSC ‘Telrada’ purchased its properties from JSC ‘Banga’ by financial lease and took over the business. A new staff has absorbed the experienced of their colleagues and complemented it with new technologies, possibilities and abilities. 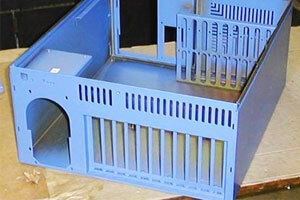 The company is engaged in construction, production and testing of cases of different electronic and electro-technical equipment, technological mechanisms and installations, as well as other products and details produced out of metal plates. The company’s production is exported to the EU and CIS countries as well as to different companies of Lithuania. 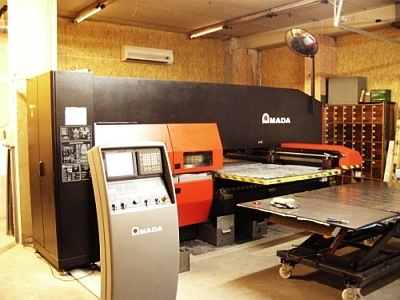 Punching press "Amada Europe 255"
Sheet thickness up to 4 mm. 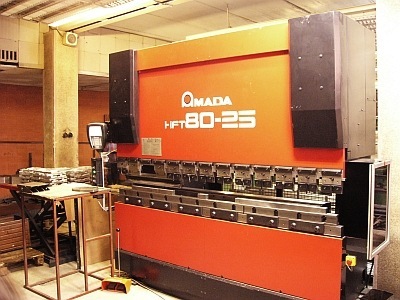 Size of sheet 1,25 m x 2,5 m.
Bending press "Amada HFT 80-2.5"
Special software allows for accurate bend complex parts up to 2.5m in length.